(c) Reconnect the D79 clearance warning ECU assembly connector. 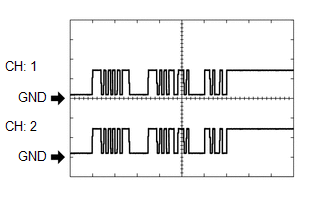 (e) Using an oscilloscope, check waveform 1. 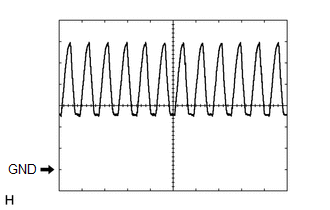 The amplitude of the waveform changes according to the set volume. (f) Using an oscilloscope, check waveform 2. The waveforms for CH1 and CH2 are same.